A few weeks ago, I was very honored to be given the popular Liebster Award from Robin of Bringing Home Europe. Robin’s blog is incredibly inventive and enjoyable; she shares “traditions and tidbits” from her past travels in Europe — from recipes to rituals to decorations and much more. Her blog reminds me of the magical, well-known, nostalgic feeling that comes with traveling: we return home, but we are ever changed and can never completely shake away our experiences abroad. Plus, Robin’s love for Polish pottery won me over as soon as I saw her post about it. I’ve never been to Poland, but I have always had a soft spot for their pottery, and I cherish my few little pieces of it. Simply put, it’s nice to be connected with a mutual Polish pottery enthusiast and fellow blogger across the country. Sometimes it’s the little things, you know? As you may know, Liebster means “favorite” in German, and the award with this name is just what you would imagine: it’s a way to honor your favorite blogs. I don’t know where or when the Liebster Award started, but from what I hear, it is to be given to 3-5 of one’s favorite bloggers who have fewer than 100* followers. To accept the award, the recipient chooses his or her own Liebsters, writing a post that both names those favorite blogs and mentions the one from which the award came. I’ve already talked about the generous giver of my award, so it’s time to pass it on. Drum roll, please… 1.) Life Seeking Beauty. First of all, I adore the name of this blog. I’m a longtime advocate of rescuing beauty from its contemporary, shallow definitions and of recognizing it in its fuller, more sacred, often subtle ways of surfacing. For me, this blog exemplifies an unexpected way beauty can surface, as its author — a true introvert in real life — is so wonderfully open and honest in her writings here. Whether she’s sharing her goals, her frustrations, her faith, or her favorite things, Elizabeth is unguarded and unashamed in her writings. Even those of us who lean toward being extroverts are rarely brave enough to be ourselves so candidly and to share our daily lives with such courage, and surely, beauty. 3.) My Sleepy Kitchen. As its author puts it, this is “a blog about a wheat lover’s adventures in gluten free cooking as a tool to overcome Chronic Fatigue”. I am so inspired by Sarah, who was diagnosed with the syndrome in 2011 and, in response, embraced a gluten-free, whole foods diet — and is now on the road to recovery. With beautiful photos, delicious-looking recipes, and poignant posts, Sarah’s blog shares her research with others and offers a creative expression of how she’s taken her health into to her own hands. 4. and 5.) These spots were reserved for two of my favorite blogs, Krug the Thinker and Dining with Dostoevsky, but alas, they have both received the Liebster award already (no surprise there!). With my rather overzealous commenting, I trust they know they are two of my favorites already. So I will just say that if you’re in the mood for the musings and makings of creative intellectuals, you won’t want to miss these blogs! Many thanks again to Robin from Bringing Home Europe for honoring me with the Liebster Award and for giving me this opportunity to pass it on! 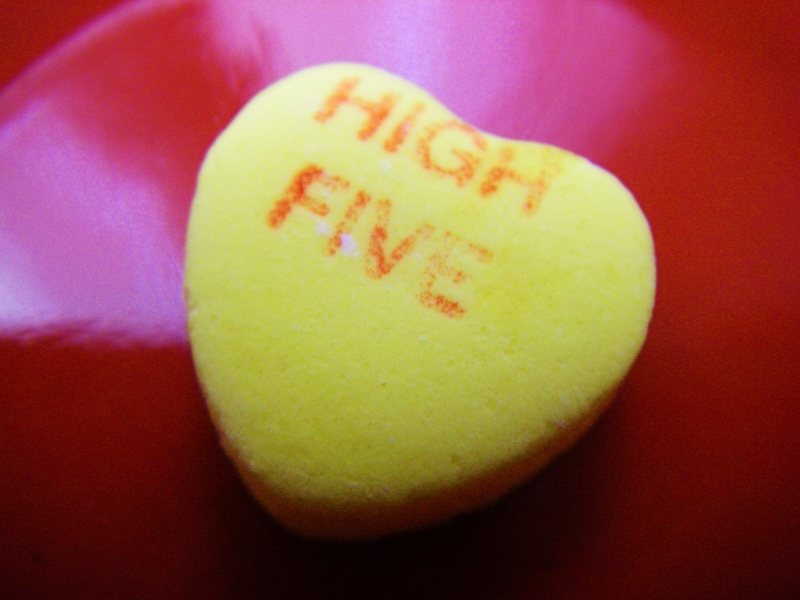 And to everyone I named above, I send you my warm wishes, my gratitude for the entertainment and inspiration you’ve given me, and a wholehearted, enthusiastic (and, naturally, sweet) high five! *I read somewhere that the blog being given the award should have fewer than 100 followers, but I have since seen the number mentioned as 200 and even 300! In any case, this can be a tricky requirement to meet, as many blogs don’t display their quantity of followers. I did the best I could here! This entry was posted in Sweets and tagged award, awards, baking, blog award, blog awards, cooking, favorite, leibster, liebster, writing. Bookmark the permalink. It’s so well-deserved! I don’t know how you do it! Congratulations! It’s so well deserved. And no pressure about the follow-up (it took me three weeks to acknowledge mine, and I never blog as much as I want to, either!). You are truly inspiring and I always look forward to your next post (but again, no pressure!). I know, I have all these ideas to blog about, but never enough time to do them! thanks again! Congratulations! This is very well deserved:) And thank you for the sweet mention! I, like Katy, am just so happy to be able to find you here on the internet, especially since I live so far away now! Congrats again! Thank you, Cameron! I really do love your blog and feel lucky to get to know you better through it. It made me realize that we have a lot in common (at least our shared love for beading, baking, bright colors, and our husbands!) — which, sadly, I wasn’t quite as aware of before you left! But, at least we are connected in this way now, and as I have said before, your glowing gratitude always leaves me smiling! I know, I feel the same way! I keep thinking of all the Saturday mornings I could have met you at Market Hall, back when I lived around the corner! And we could have had some epic baking sessions, which would have been so fun (and helpful, as I am clueless at meringue!) But this is a really nice substitute for the time being, and hope springs eternal that one day we will again find each other living in the same area:) Also, I wore the bright orange and pink earrings you gave me over the weekend and was thinking of you 🙂 Thank you again! I forgot to mention our shared love for thrift stores (like the one where I got your earrings, which I am so glad you like!). Yes, I hope we’ll have some grand Market Hall, thrift-store shopping, baking extravaganza days together in our future, and maybe even a double date or two! Thank you, Moriah; I appreciate the shout-out and am just glad (in general) that you’ve joined the blogging community! It’s nice to get a glimpse into a fellow baking enthusiast’s kitchen, especially one whose many creations you’ve tried and loved. 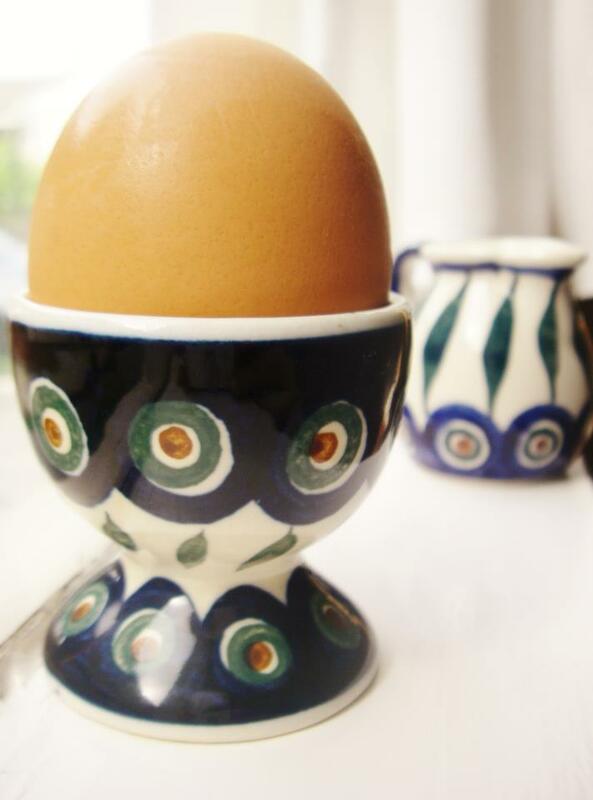 And, oh my gosh, your egg cups are so pretty (I have long been coveting egg cups)! Thanks so much, Katy! I’m very glad to have you as a fellow blogger (even though I’m a rookie compared to you), and I’ve also loved every treat I’ve tried of yours! Thank you, Robin! It was honor to be able to write this post, thanks to you!